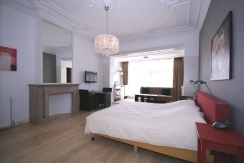 Our Short Stay Apartments in The Hague are located on Zoutmanstraat Road. All of our apartments are completely furnished and have all the appliances you need during your stay. They come with complimentary wireless broadband and cable television. 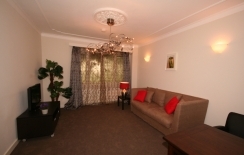 Book our apartment for short or long term rent. You only need to bring your suitcase with you! Please contact us if you are a company, organization or embassy and you book frequently for employees. You only need to bring your suitcase! Our rates include water, gas, electricity, TV, Internet and cleaning. A historical residential area in the city center of The Hague, with a variety of grocery stores, trendy designer shops, cozy cafés and good restaurants. WiFi available in all apartments!